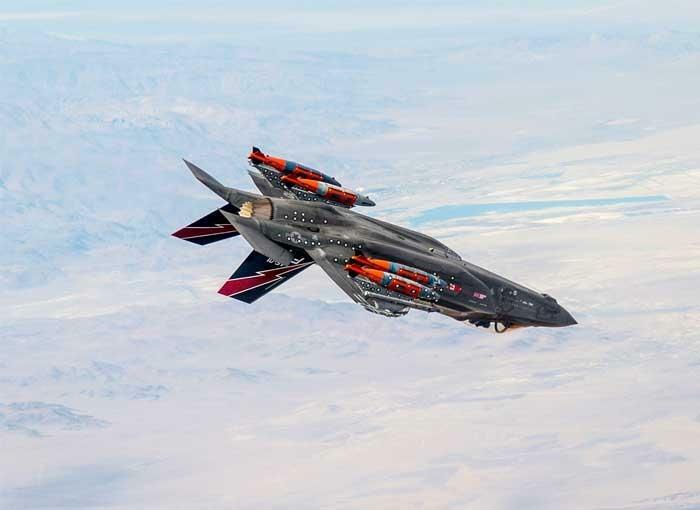 Is this the first time we saw F-35 with almost maximum external load in flight? (4*GBU-31, 2000lb, 2*AIM9X)? I assume it also carry 2*GBU-31+2*AIM120 internally at the same time. What a beast. The list of planes that can carry a FLIR, IRST, EW, 6 GBU-31a and 4 AAMs is a short one. Like, three aircraft short. F-35A, F-35C, and F-15E. And apparently the two wing tanks were ALWAYS carried in the Stan. Well, so far I'm yet to see any fighter aircraft able to carry 6 x 2000lb bombs. The Lightning is a remarkable aircraft in what can be fit within such a small footprint. And somehow it can cram in 18,000lbs of fuel. 16,530lbs. (weapons) to MTOW, but no idea as to the max weight for each hardpoint. Care to enlighten me? Those are 1000lb Paveway2's, not 2k bombs. The Typhoon carries Storm Shadow which weighs 1300Kg. Unknown if all pylons are similarly rated. I wonder how the platforms in question compare kinematicly with that kind of load. popcorn wrote: The Typhoon carries Storm Shadow which weighs 1300Kg. Unknown if all pylons are similarly rated. They can only carry Storm Shadows on two, maybe the stations. And those would be the wet stations. 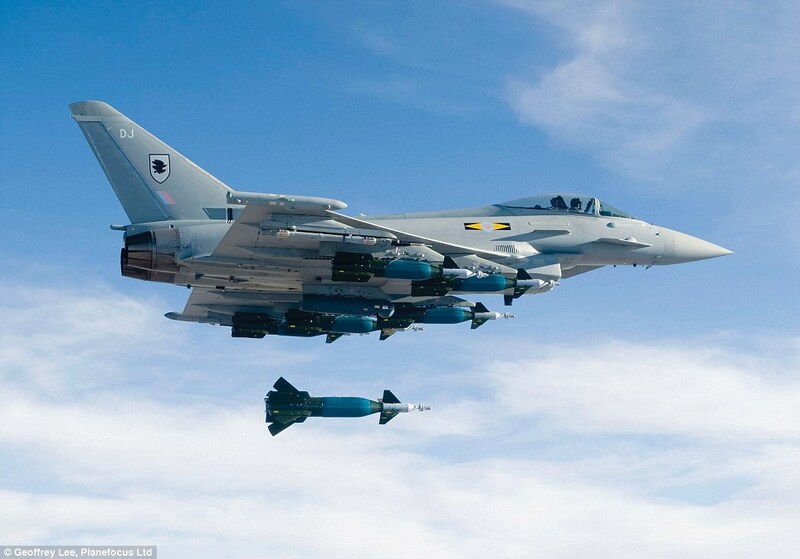 ricnunes wrote: Well, so far I'm yet to see any fighter aircraft able to carry 6 x 2000lb bombs. The F-35's load is impressive. The Su-34 is a large fighter class aircraft with a focus on ground attack. The chart below says it can carry three 1500kg (3307 lbs) bombs, which at 9921 lbs is less weight than the 12,000 lbs from six 2000 lb bombs. To be fair, if I'm not mistaken, the loadout with 12x something would be 500kg each, so 6,000kg. 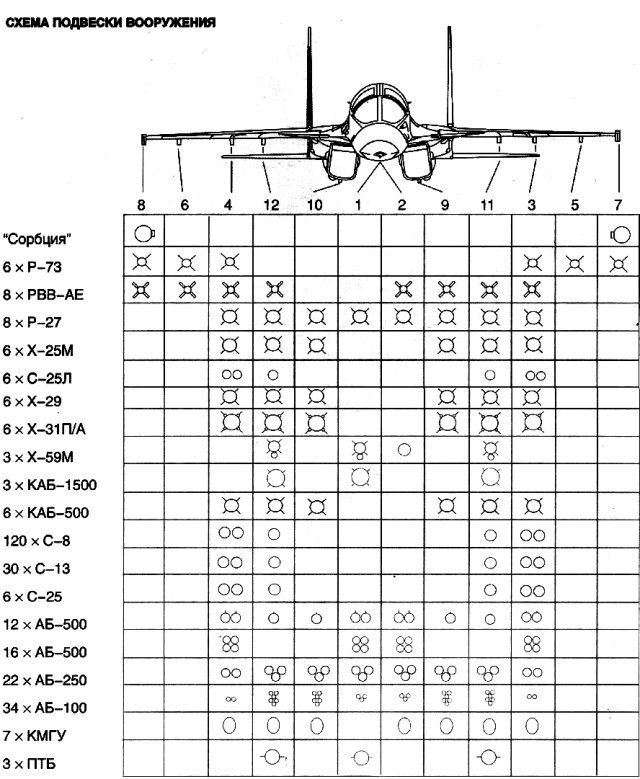 The 6x 2,000lb loadout on the F-35A/C would be around 6x 907kg = 5,442kg, so slightly lighter, nominally. But that's very very impressive to have about the same maximum loadout with the F-35A/C as the Su-34, especially when one considers the F-35A's loaded weight is a bit lighter than the Su-34's...empty weight !